BAE Systems / Ordinance Systems Inc. set out to design and implement a process that would enable our manufacturing personnel to systematically identify process, equipment, labor, and material limitations when responding to customer order delivery inquiries. We had already purchased and implemented an ERP system (with Material Requirements Planning and Capacity Requirements Planning functionality), but we weren’t satisfied with its ability to recognize our capacity constraints or meet our finite scheduling needs. The MRP product allowed us to enter Master Scheduler that exceeded available capacity and offered little visibility when we did so. Consequently we chose to discontinue its use for production planning activities. After a review process, that included sending sample data from our ERP System, we selected User Solutions’ Resource Manager-DB solution. User Solutions has always been highly responsive in addressing our specific needs. In a very short time, we had the majority of our bills of resource, inventory items and work centers loaded. Now, we have a solution that has become a vital tool in our production planning and scheduling activities. We are extremely satisfied with the offering and are pleased to recommend to others looking for a capacity and production planning solution – either integrated with ERP or standalone. BAE Systems / Ordnance Systems, Inc. In March 2005, BAE Systems / Ordnance Systems Inc. set out to design and implement a process that would enable our manufacturing personnel to systematically identify process, equipment, labor, and material limitations when responding to customer order delivery inquiries. We had purchased and implemented an ERP system (with Material Requirements Planning and Capacity Requirements Planning functionality) in 2002, but we weren’t satisfied with its ability to recognize our capacity constraints or meet our finite scheduling needs. The MRP product allowed us to enter Master Scheduler that exceeded available capacity and offered little visibility when we did so. Consequently we chose to discontinue its use for production planning activities. Again, User Solutions was highly responsive in addressing our specific needs. 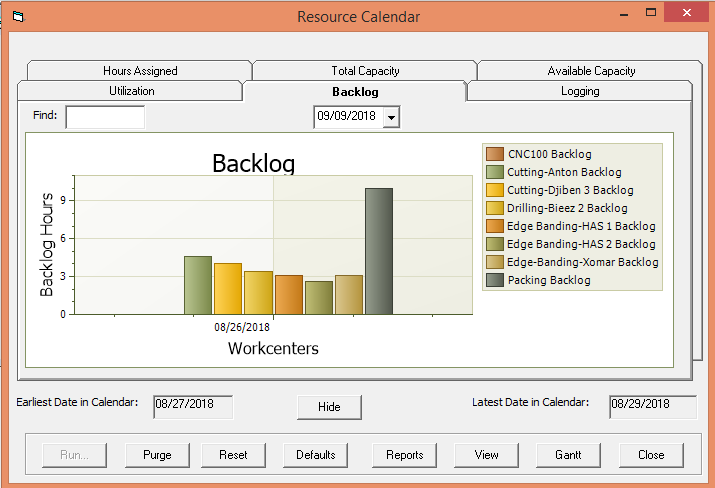 By the end of the year we had the majority of our bills of resource, inventory items and work centers loaded. We began 2006 with a product that has become a vital tool in our production planning and scheduling activities. We now have a product that we are extremely satisfied with and are pleased to recommend to others looking for a capacity and production planning solution..